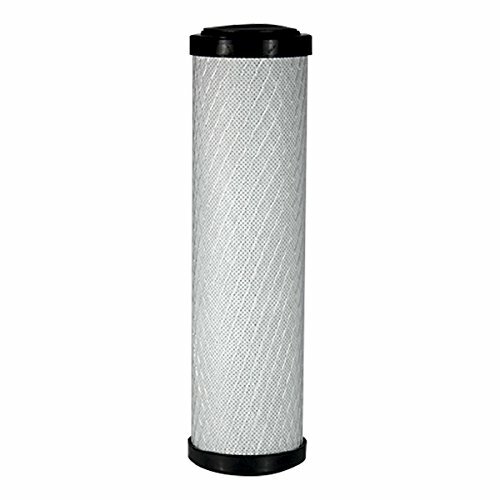 The EZ-FLO advanced carbon block filter is designed for under sink filter applications. The 2-1/2 inch x 10 inch filter fits most standard 10 inch filter housings (not included). the filter reduces chloramine, lead, lindane, cysts, chlorine taste & odor, mercury and more with 1 micron rating. View More In Water Filter Cleaners. If you have any questions about this product by EZ-Flo, contact us by completing and submitting the form below. If you are looking for a specif part number, please include it with your message. MILKHOUSE BRAND Durable Pipeline Milk Purifier Filter Socks - moderate to high pressure system - 100 per box - 2-1/4" X 12"